If you like football, this weekend you have an appointment in Cadiz. 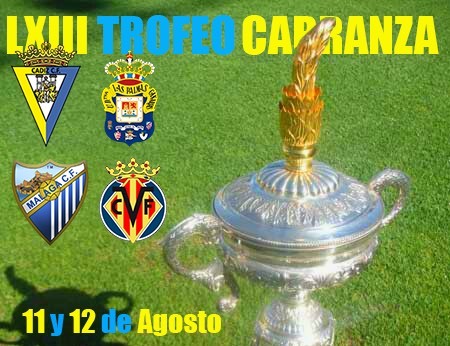 Every year in August the Carranza Trophy is celebrated in which four teams compete, one being the Cadiz CF. This year the chosen date is on 11 and 12 August, and the participating teams are Las Palmas, Malaga CF, Villarreal CF and Cadiz CF. Normally, on Saturday night that is the end of this trophy are barbecues on all beaches of the capital of Cadiz. But this year the City of Cadiz has decided to change the barbecues for Carnival. There will be performances from the finalist groups of the Official Competition in the Paseo Marítimo. To enjoy this trophy and the summer carnival you can choose to stay in our wonderful apartments.